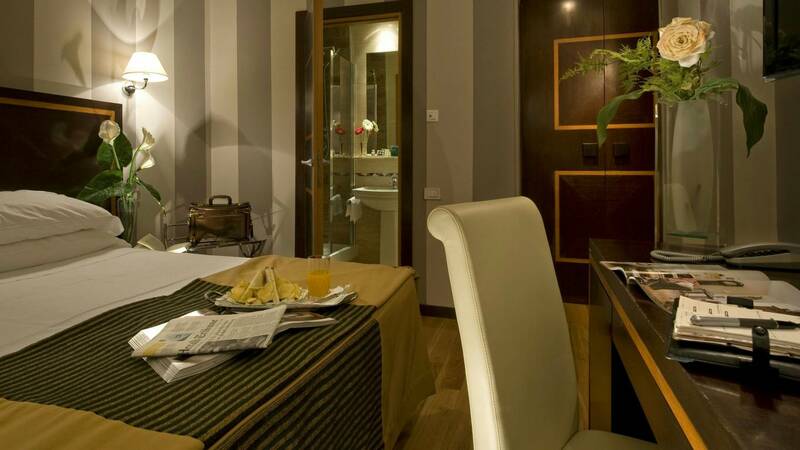 27 elegant rooms (12-15 mq) equipped with all the modern comforts of the best international level 4 star hotels of Rome. 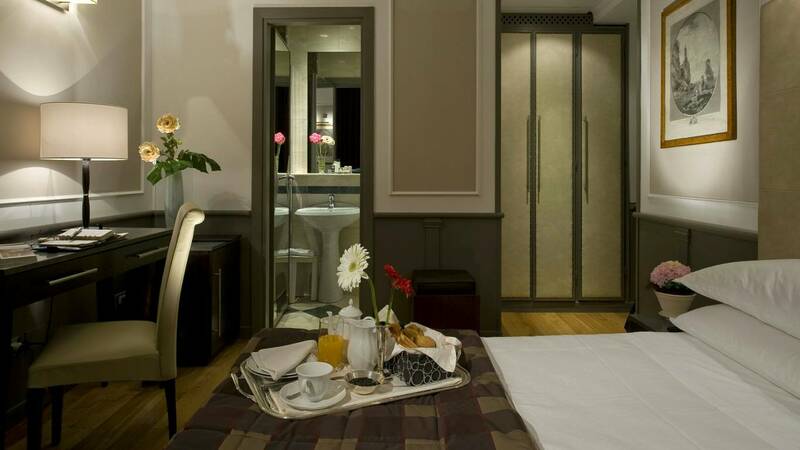 The rooms in Duca d'Alba hotel Rome welcome guests with class and charme. 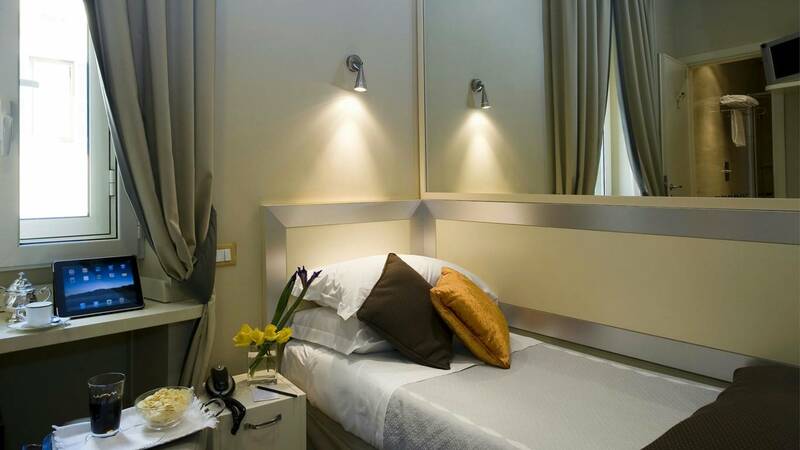 Various accommodations are available in order to meet the needs of guests who stay in a hotel in Rome whether for business or pleasure. 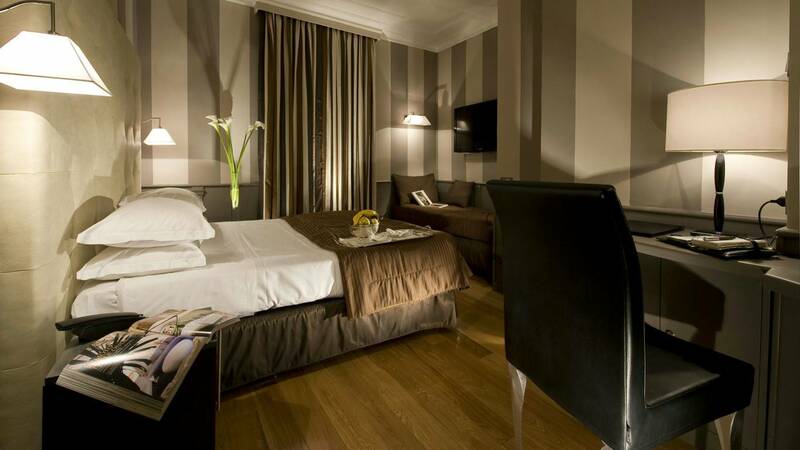 The rooms in this Rome hotel are available in Standard, Superior, Junior Suite. 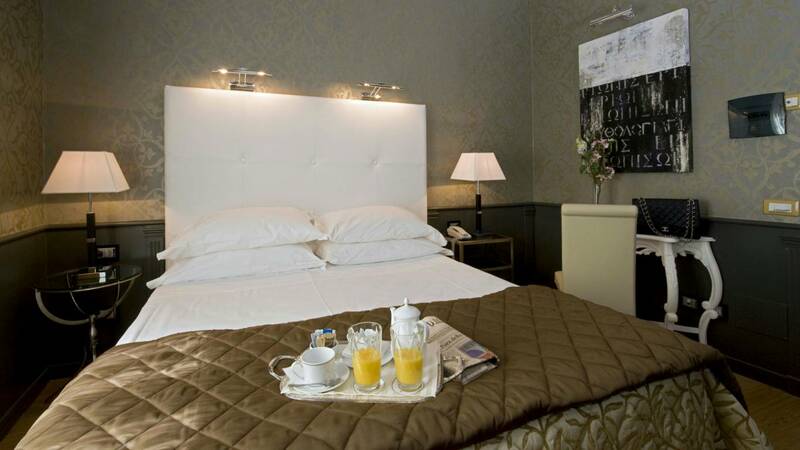 All rooms have mini-bar, safe, satellite TV, telephone, air conditioning and wake-up call service. The Travertine marble en-suite bathrooms include quality Italian marble features, a bath or shower, hairdryer and beauty products. 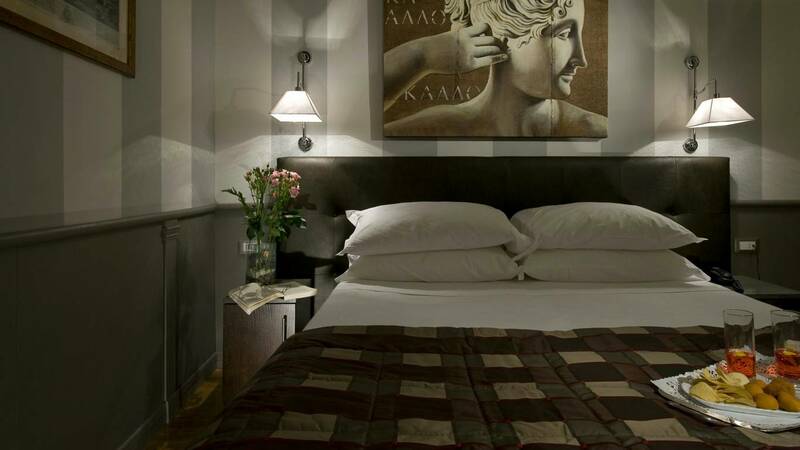 Many of our rooms have recently been redecorated in a contemporary style and now boast 37/40 flat screen LCD satellite TVs and wood flooring. 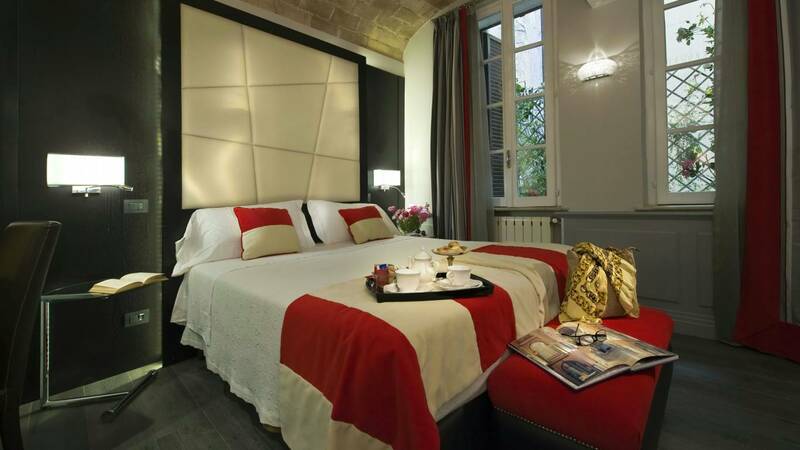 All rooms looking out on to the street have double soundproofed windows, while those overlooking the internal courtyards are also fitted with double glazing to ensure maximum comfort for hotel guests.